I just posted a picture of the shoes I bought (on sale!) for Stow to wear with his new braces (link). Under it, I wrote, "Sometimes I totally rock (and other times I fail miserably, so I guess it works out in the end)." This second part is the real truth. Proof in point: Pink P's glasses. Pink lost her first pair within 32 hours (link) but then found them. And then lost them. And then found them. And then broke them before losing them again and deciding she didn't really want to wear them after all--which was good because they were broken and we were moving, and I didn't want to mess with them. 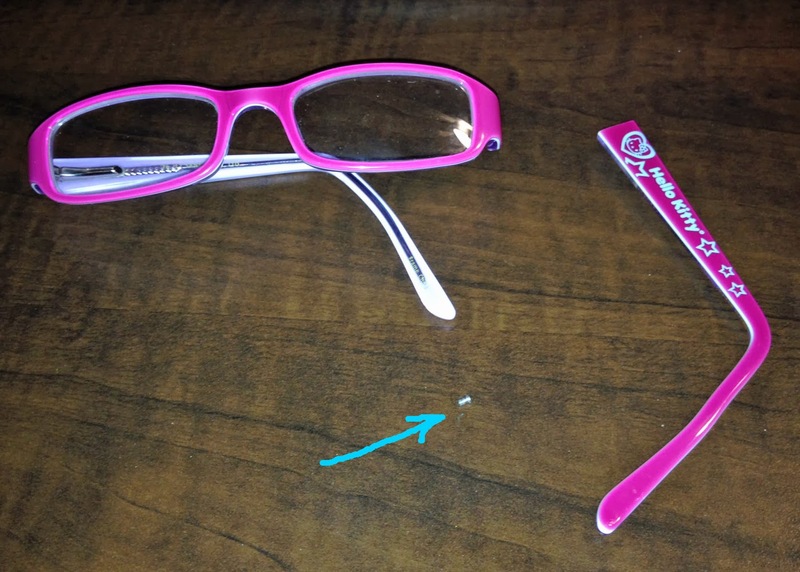 The first week of school, I tried to send Pink to kindergarten with her glasses, but by then, she'd chewed off both of the nose pieces and didn't like to wear them. I know I should have been proactive and figured out a way to make the whole thing a learning experience for her, but I was starting a new job and trying to get Early Intervention for Stow and an IEP for Sky. Then classes started, I went to Japan, and Ren had back surgery. Then it was Thanksgiving, Christmas, and the New Year before everything started all over again in January. In other words, I let Pink go to school without her glasses for a very long time, and I felt bad about it. I really did. In the meantime, Sky's glasses got broken in PE class and weeks of soldering and/or duct taping eventually took a toll on the integrity of the frames. So, two weekends ago, I managed to get both kids in to be fitted for new glasses (after, of course, being forced to call the old optometrist to request she resend the prescriptions which I'd lost). 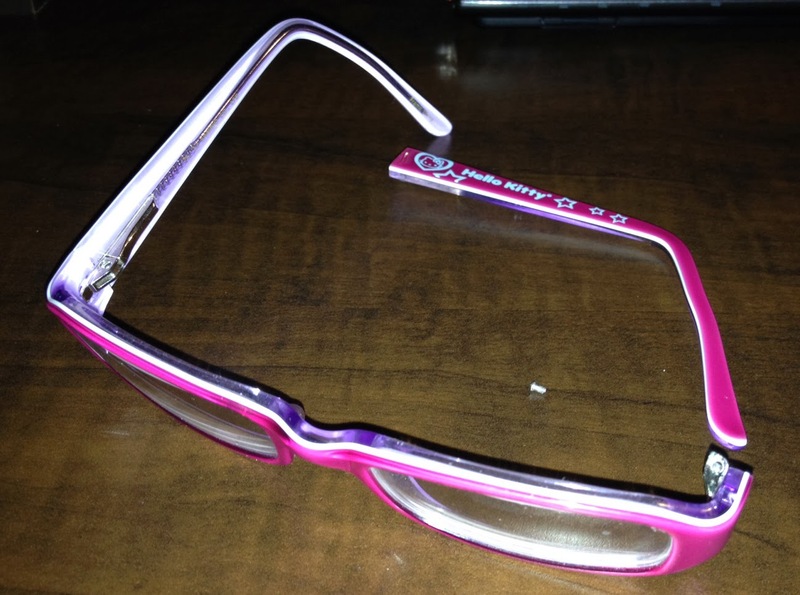 I also had Pink's old pair repaired, so she'd have a back-up pair. And, for a brief moment, I felt like I'd managed to get my sh** together. At least she didn't lose the teeny tiny screw. And I thought that maybe some battles really aren't worth fighting. 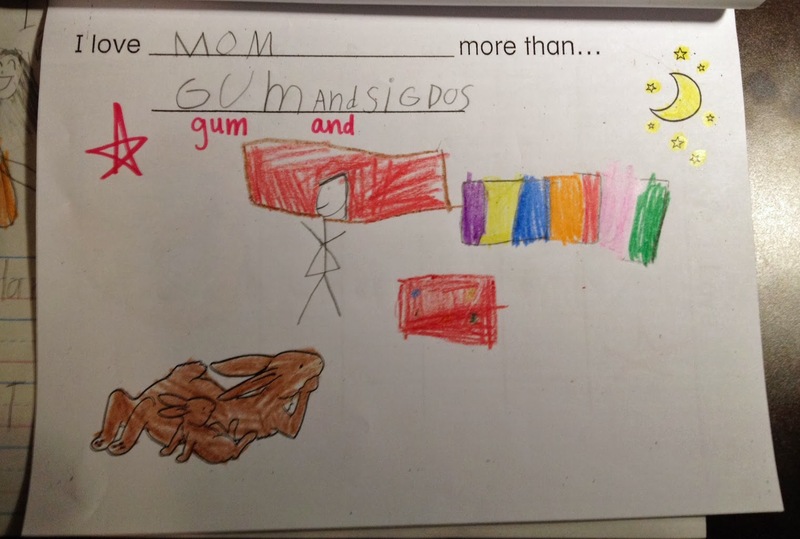 "I love mom more than gum and Skittles." And, I am reminded that I have to keep fighting the good fight for all three kids, no matter how crazy it all seems or how much I seem to fail at it. 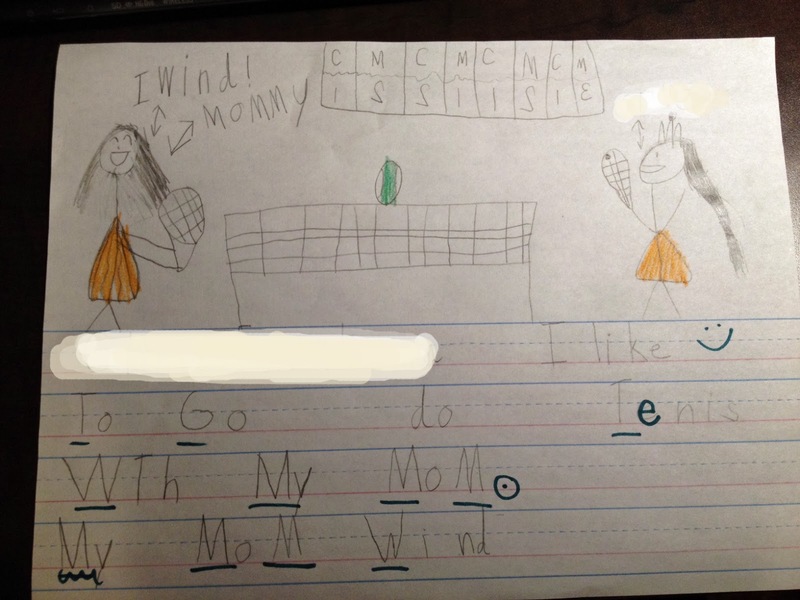 Because, even when I think I'm blowing it, they think I'm a winner (or, more precisely, a wind-er).